A friend of mine said she just joined the “A Page a Day” group on Facebook. She’s a fellow ‘writer-at-heart’ who is unable to really write because she’s focused on her work. There are a lot of writers out there who do feel constricted by their jobs and everyday life to really write properly. I know get really jealous when I see people churn out one quality blog post after another. I also meet a lot of friends and colleagues who are frustrated by the fact that they cannot concentrate to write for themselves. Then there’s another set of folks who have always told me that they hate to write. Interestingly, these folks tend to be younger, and are almost at the start of their careers. I usually cringe when I hear someone say they really don’t like writing and that they want to do as little writing as possible. If I hear this in an interview the resume goes directly to the rejected pile. As an ESL (English as a Second Language) kid, keeping my own journal in English shortly after I landed in New York helped me a great deal with not just catching up on my English skills but it got me ahead of the curve. It helped me gather my thought processes better. I was able to communicate a lot more effectively with my fellow students, and I was able to express my needs as a student to teachers so they gave me all the opportunities I wanted to graduate high school early. Having a ‘digital career’ is not an easy thing – especially if you have to explain to your parent what you actually do. At times you might even have to explain to your boss what you want to do with a particular activity and why it is necessary. That’s when having clear thought processes comes in handy. On top of this, your boss or your colleagues who need to support you in what you’re trying to do might not have the time to meet or sit with you. So being able to explain things in ‘English’ can help them understand digital better and get you the resources you need. Writing taught me to be more detail oriented. I became obsessed with words, sentences, commas, periods, writing styles, and voices people can have. It made me notice all the little things you see on the screen. 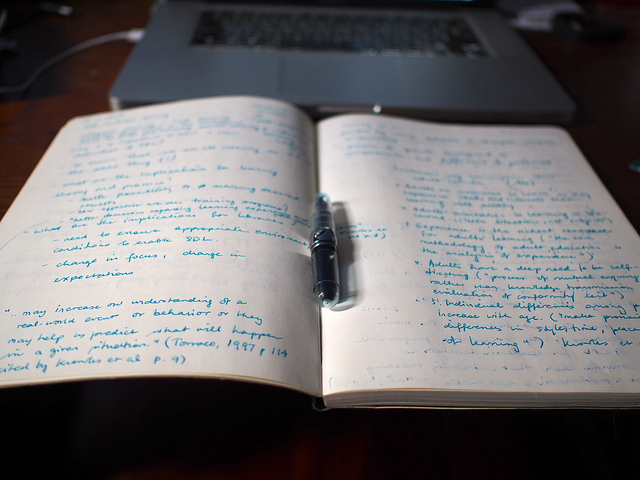 Once you start writing for yourself you’ll start having the same passion and start working on documents to improve it. If you practice it enough, the same passion will start getting translated into your regular job. You’ll start noticing everything on a PowerPoint slide – spotting typos, wrong logos used, or wrong slide orders etc. You’ll start demanding more of yourself and your team. That’s when you’d be ready to become a leader or a manager. I thought I’d be a content writer all my life when I landed at 123Greeting.com – one of the very first jobs I got in the dot com world. We ran over a hundred blogs with a team of 3 writers – that meant a writer would be writing at least 3-4 blog posts a day. That discipline made me start thinking of content in creative ways and I started to understand the visual content better. It helped me repurpose content, and strategically come up with editorial calendars. Later on, I was able to translate the same techniques into email marketing, and social media marketing. So go out there and carve some time for yourself and write. It’s a journey that can take you to many many places. And most of all, every thought leader is a good writer. You don’t have to go far to find that out – just look at LinkedIn’s influencer’s program. It’s the people who write well who have large followings, and the largest reach.